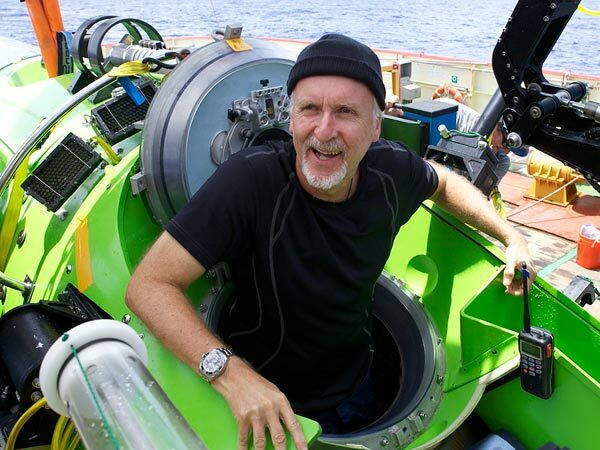 Director James Cameron has become the first solo diver to visit Earth’s deepest point but resurfaced six hours earlier than expected. 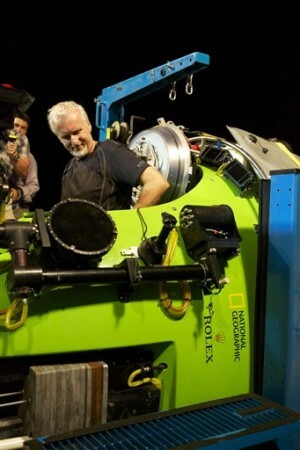 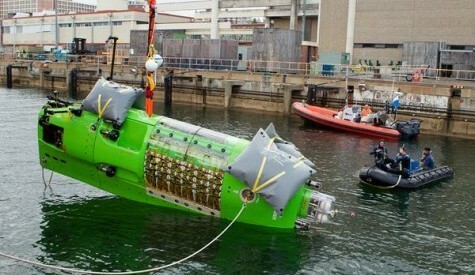 The director of "Titanic," "Avatar" and other films used a specially designed submarine to dive nearly seven miles. 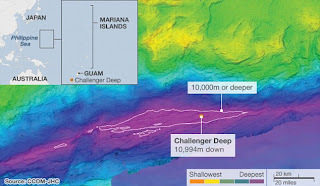 While on the bottom of the ocean floor he spent time exploring and filming the Mariana Trench, about 200 miles southwest of the Pacific island of Guam, according to members of the National Geographic expedition. 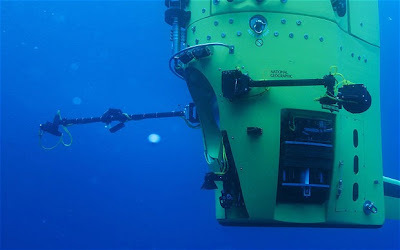 As he reached the bottom of the Mariana Trench he sent out a Tweet reading: "Just arrived at the ocean's deepest pt. Hitting bottom never felt so good. 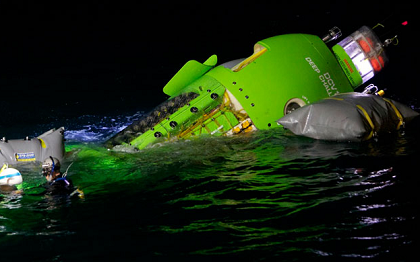 Can't wait to share what I'm seeing w/ you." Cameron spent a little more than three hours under water after reaching a depth of 35,756 feet before he began his return to the surface, according to information provided by the expedition team. 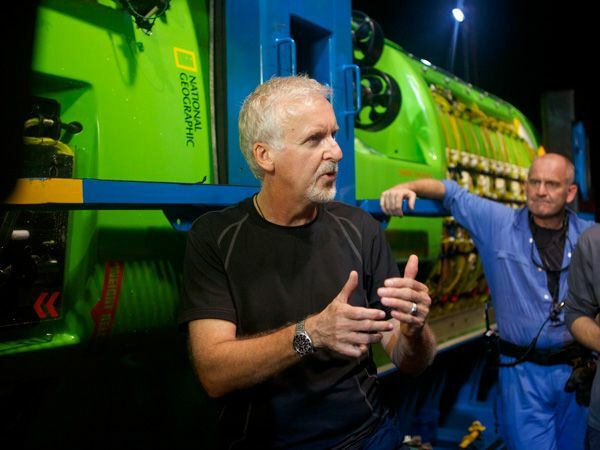 He had planned to spend up to six hours on the sea floor. 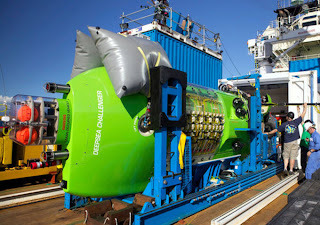 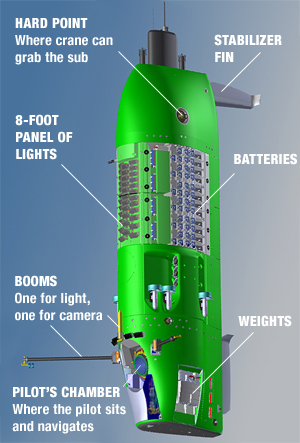 Cameron's return aboard his 12-ton, lime-green sub called Deepsea Challenger was a "faster-than-expected 70-minute ascent," according to National Geographic. There were no immediate reports regarding Cameron's well-being. 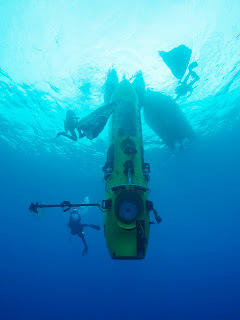 A medical team was present when Cameron, 57, emerged from the sub, according to the expedition. 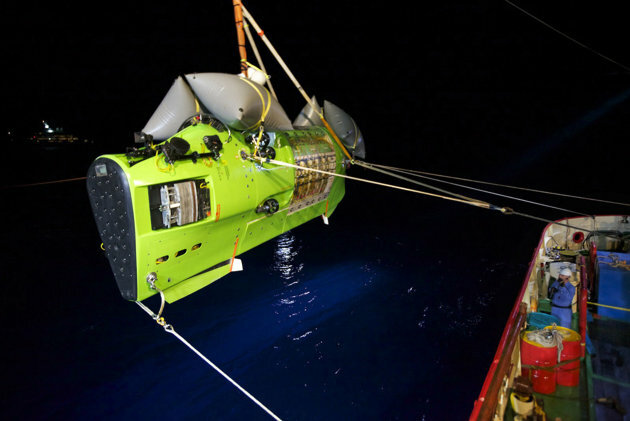 The dive, in a specially designed submarine called the Deepsea Challenger, began at around 5.50am Monday local time, after being delayed for several days due to bad weather. 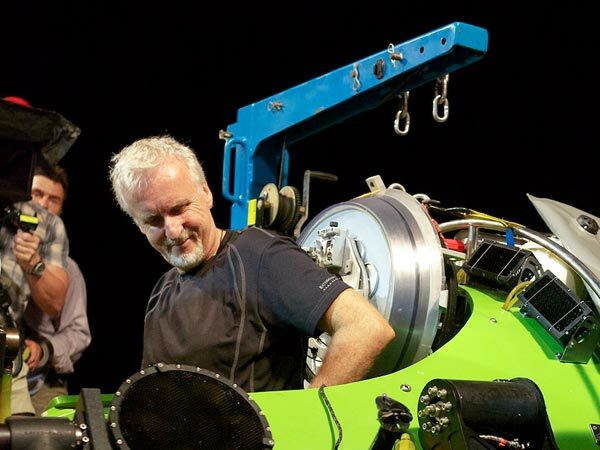 Once on the surface, Cameron, who also directed Avatar and The Abyss, plans to spend six hours collecting samples for biologists and geologists to study, before making the 70 minute journey back to the surface. 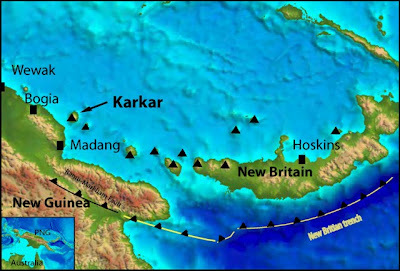 The Mariana Trench is 120 times larger than the Grand Canyon, and more than a mile deeper than Mount Everest is tall. 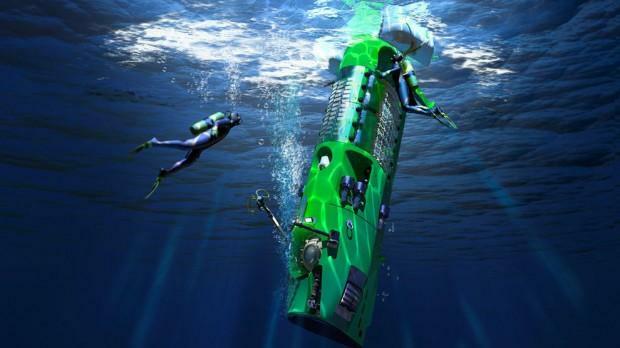 The only other people to reach the bottom are Jacques Piccard, a Swiss Engineer, and Don Walsh, a US Navy captain, who ventured down in 1960. 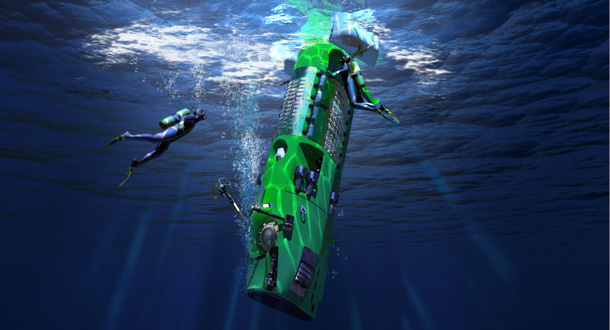 However, their sub kicked up so much silt from the sea floor that they were unable to observe anything, and returned to the surface after 20 minutes. 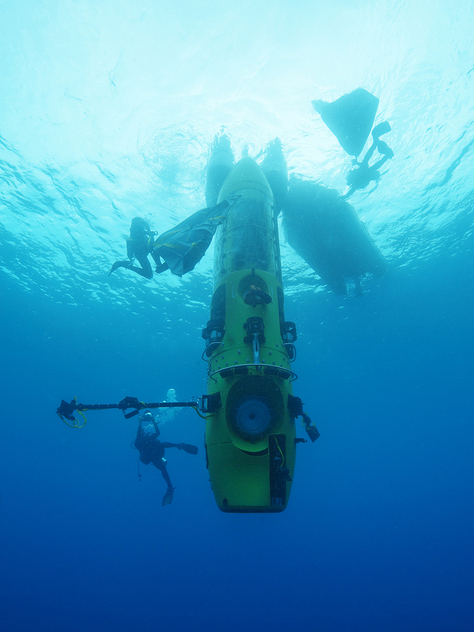 Before the dive, Cameron said reaching the sea floor would be "the fulfilment of a dream". He added: "I grew up on a steady diet of science fiction at a time when people where living a science fiction reality. "People were going to the Moon, and Cousteau was exploring the ocean. 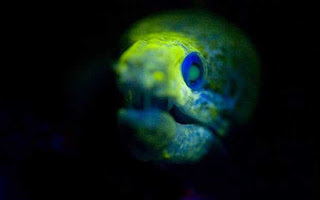 And that's what I grew up with, what I valued from my childhood."